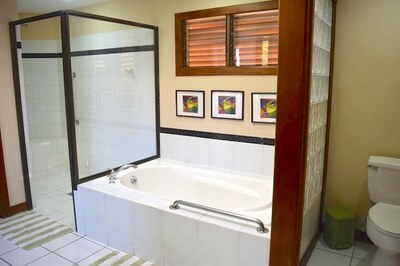 The beach is only a few minutes walking distance with a wide variety of dining, entertainment and shopping within a short drive on the north ridge of Flamingo. 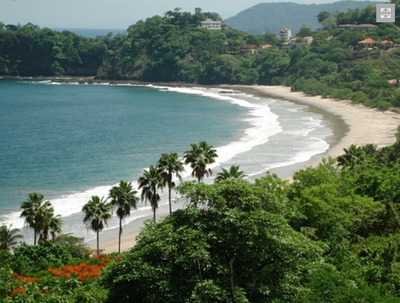 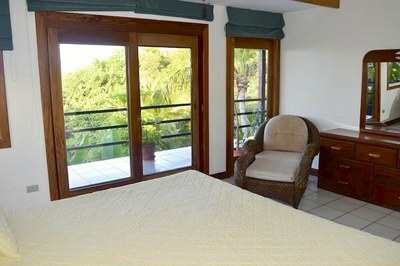 While you're close to everything, you're also just far away to enjoy privacy and seclusion where you can enjoy the daily parade of birds and monkey and a wide variety of wildlife directlly in front of you. 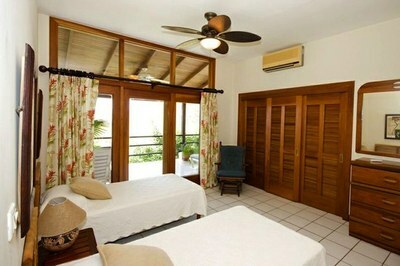 Larger parties can rent up to 8 bedrooms sleeping over 16 people. 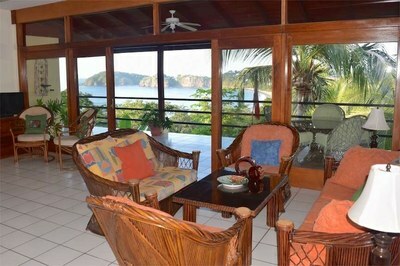 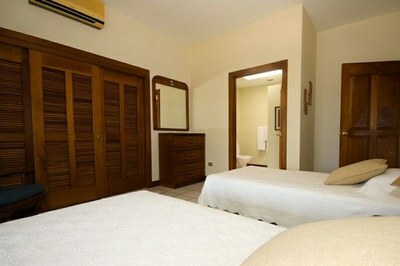 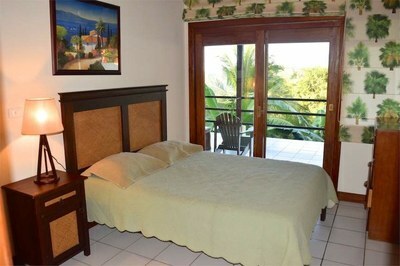 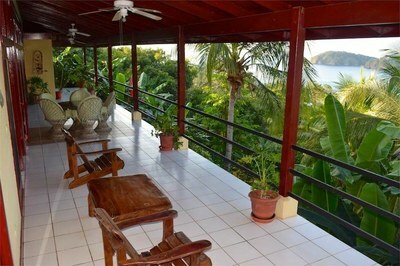 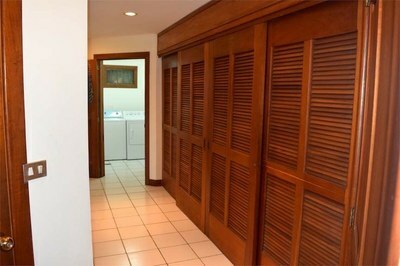 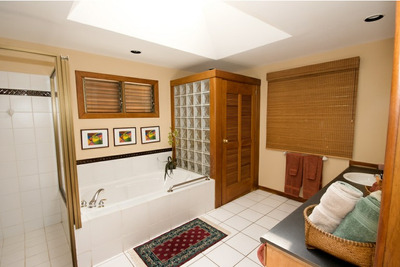 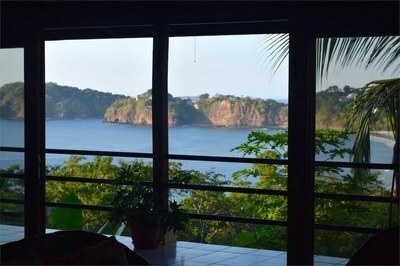 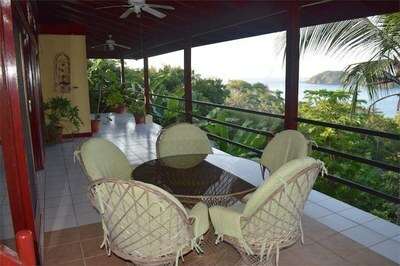 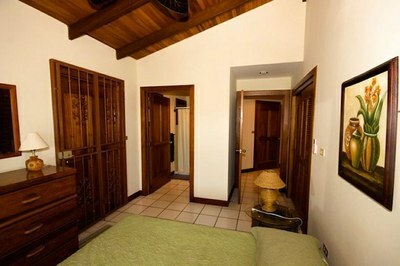 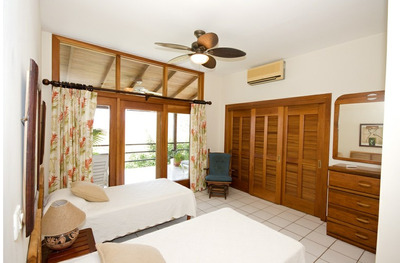 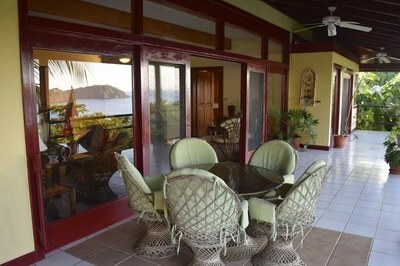 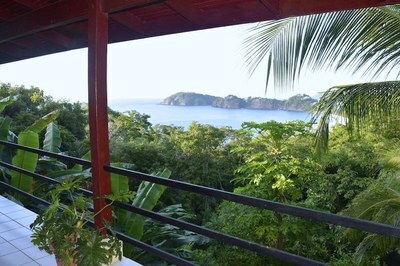 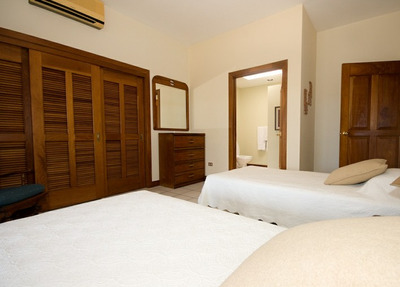 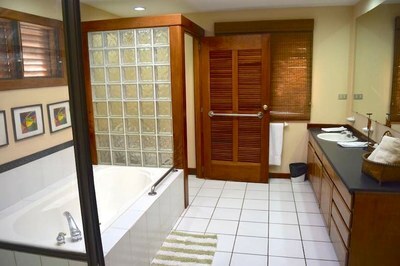 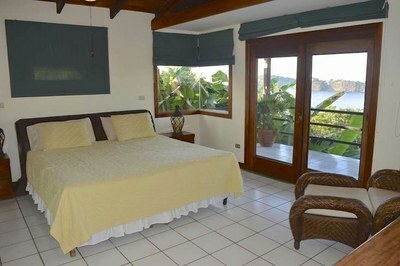 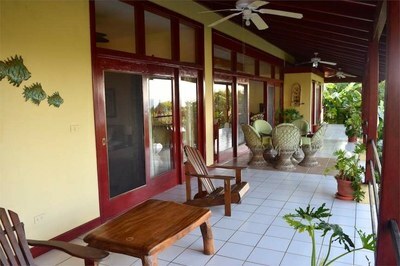 This house is furnished and air conditioned with telephone, internet wifi, cable TV and laundry services. 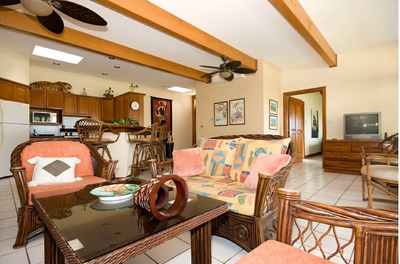 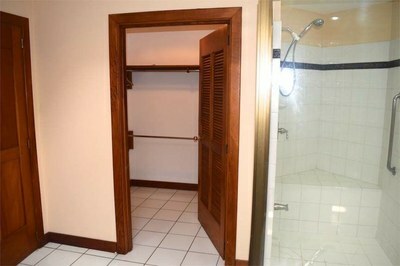 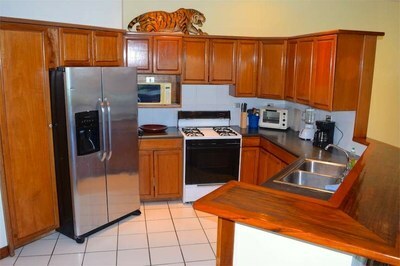 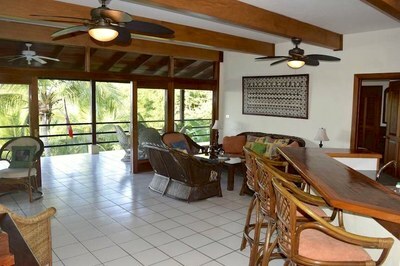 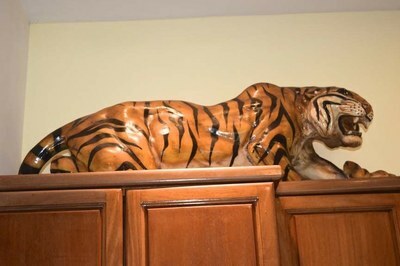 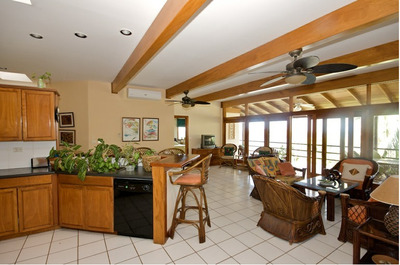 The kitchen is spacious and fully equipped, and the property has community pool just steps from the side door. 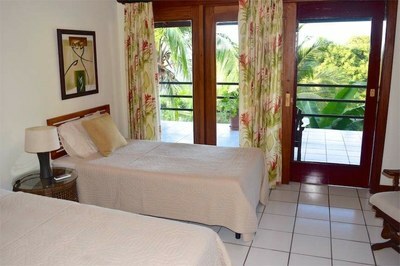 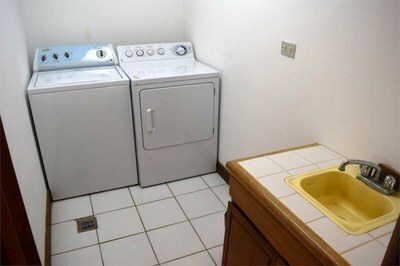 Sheets, towels, maid service are included for short term rentals.